Choose among the different UK retailers on where you can get the best shelf deals and bargains. Make sure to use the latest voucher codes to save some money on the side. Purchasing different shelf products can be as easy-breezy when you know where to shop for the best deals. Stack voucher codes so you won't have to pay the full amount and still save money for other essentials. As a matter of fact, you can save as much as 60% when you purchase from eBay, Argos, Amazon, and other reputable UK sellers. Get amazing discounts and deals on all shelf types here at Latest Deals! A shelf is a flat horizontal plane which is used in a home, business, store, or elsewhere to hold items that are being displayed, stored, or offered for sale. It is raised off the ground and usually anchored or supported on its shorter length sides by brackets. It can also be held up by columns or pillars. Fixed Bracket Type Shelf Systems. Fixed section type racks are made of individual sections that can be used as remain stand alone racking system or in blend with extra sections to shape a multi-unit racking system. They are fixed sections are accessible in metal and wood that are attached or hinged specifically to a divider or a case. Built-in Shelf Systems. Built-in shelving systems are among the least complex shelf units as it is very easy to use. These are structures that are fitted inside the nooks of a home. The most common built-in shelving system out in the market is single plank of wood attached horizontally in the wall. They can be attached or hinged anywhere in your home be it under the kitchen table, above the cabinet or even above your chimney. Floating Shelf Systems. Floating shelving systems are an extraordinary way to display items that will surely be noticed. Unlike fixed shelving units, floating shelves appear to be floating in the wall without seeing hinges or screws. They are available in a wide variety of colours, structures, sizes, and shapes that will make a great decorating accessory. Corner Shelf Systems. Corner shelving systems is what you will need if you want to make a storage in your home without occupying an excessive amount of space. The corners in your room you thought are useless will be easily accessible with these. 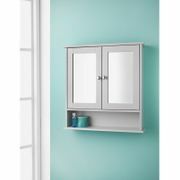 This system is available in solid wood, built/overlaid wood, and plastic, and can be redone to fit any area. Top Hung Storage Shelf Systems. Top hung shelving systems are regularly used in study halls and storerooms to show and store things such as books, pens, and so much more. They fuse metal sections that are mounted to dividers and from which racks and droppers can be hung. Free Standing Shelf Systems. These are perfect for both storage and display purposes. They are convenient and can be moved to any area given is sufficient space. Free standing shelving systems are available in different sizes, hues, materials, and plans. Homes need a shelf or shelving systems to store books and other knick knacks, which would somehow help you to make more space in your home. 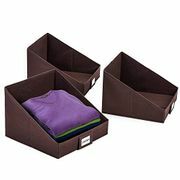 They are also used in shops, workplaces, schools, producing offices, and even lodgings to store and display things. They are accessible in a wide variety of styles, plans, costs, and materials, including wood, plastic, metal and glass. Chipboard Shelving. This is the most moderate alternative, and is produced using bits of wood stuck together. It may be harmed by water so it is secured by a facade. MDF Shelving. MDF is extraordinary for customisation, as it very well may be effectively painted and recolored. It's produced using loads of wood strands reinforced together under strain. 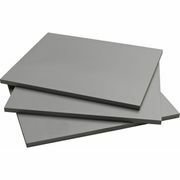 It's smooth completion and edges make it perfect for jigsawing or making adjusted corners, as it doesn't actually chip. Plywood Shelving. Produced using layers of wood stuck together, pressed wood is a mainstream shelving alternative. It's sturdy and water safe, and conveys a more expensive rate tag than chipboard or MDF. It frequently holds a characteristic grain, making it extraordinary for recoloring. Whenever wanted, the edges can be secured with a facade or wood lipping. Wood Shelving. An appealing and solid shelving alternative, solid wood shelving incorporates oak, pine and walnut. These types of wood are anything but difficult to stain and paint, and will last you forever and a day of usage. It might require fixing to shield it from creepy crawlies and decay, yet is generally a solid and prevalent material. Acrylic Shelving. A classy and contemporary racking style, acrylic is produced using a thermoplastic, normally coming in straightforward sheets. It conveys an advanced touch to your interiors, and is light and simple to set up. In spite of their glass-like appearance, acrylic racks are solid and sturdy. There are plenty of ways to save on your purchases online. Most online UK shops such as IKEA, B&M, Wayfair UK, and Amazon have regular sales, seasonal clearance, and flash sales where you can get up to 70% off on a wide array of shelf deals. There are even retailers that have 3 for 2 and 2 for 1 offers on select items. Also, the best time to get huge savings is during Black Friday, Cyber Monday, and Boxing Day where an extensive selection of products like floating shelves brackets, wooden cube shelves, and thick wooden shelf from your favourite UK retailers are reduced to clear. Knowing when and where to look for the lowest possible price on cheap quality shelves is the key here. Fortunately, you don't have to spend hours online searching for special offers, bargain deals, and price drops on slim bookcase , wall shelf unit , shabby chic shelves, ladder shelves, and copper shelf brackets. Our massive community of bargain hunters regularly share verified discounts, promos, and voucher codes from eBay, Argos, Wickes, Robert Dyas, Homebase, and from other reputable shops across the country. We also have a team of money-saving experts who always share essential tips and tricks on how you can get every day low prices on white floating shelves, rustic floating shelf, oak floating shelves, and narrow shelving unit when shopping both online and instore. Getting additional money off with the help of Latest Deals is easy. You can maximise your savings by simply using the latest shelf discount code of your choice upon check out. There are also voucher codes that can provide you with free shipping and gifts.